Upper: A comfortable stretch, breathable knit upper with full-grain leather accents provide a functional and active sock-like fit and minimally lined with soft microfiber to allow for barefoot wear. Footbed: Dual-density anatomical PU footbed with a chassis and softer top deck providing extra cushioning for immediate step in comfort. 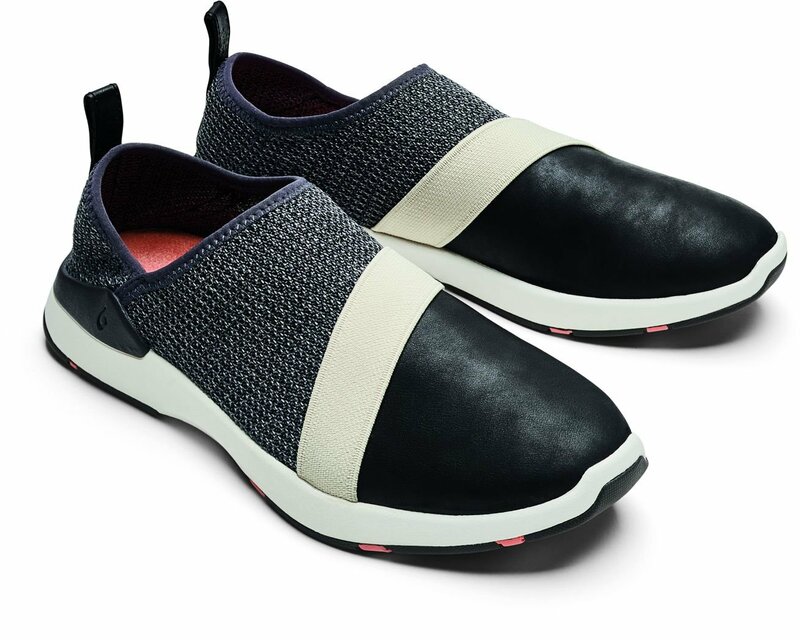 Lined with a lightweight, breathable mesh footbed cover. Removable and washable. Outsole: A soft and durable compression molded EVA midsole with a non-marking 'Wet Grip Rubber' outsole. Siping has been added for maximum traction on wet surfaces.